Every artist requires special tools to express their craft. Our artisan copper pot stills are the Distiller’s quintessential cornerstone in creating our hand crafted spirits from original materials. 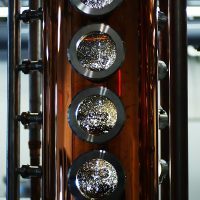 When selecting Liberty’s stills, months of research and communication took place with numerous fabricators of distillation equipment in North America and Europe before making a final decision. In the end, our choice was easy because we wanted to partner with a company aligned with our values and guiding principle: Make No Compromise in Quality. 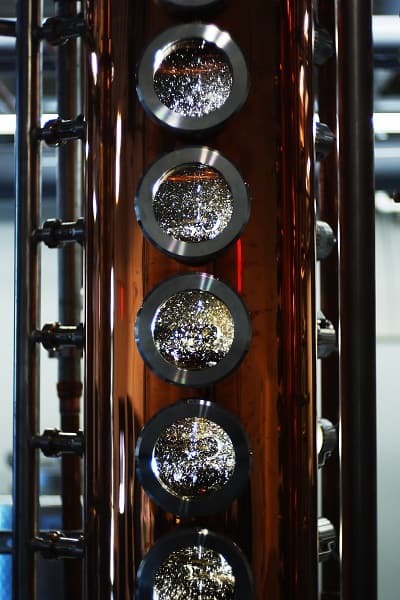 The Liberty Distillery chose CARL, Germany’s oldest distillery fabricator to custom design our stills because of their rich 140-year family tradition and uncompromising dedication to aesthetics, design, innovation, and patented ‘aroma plates’ in the rectification columns. 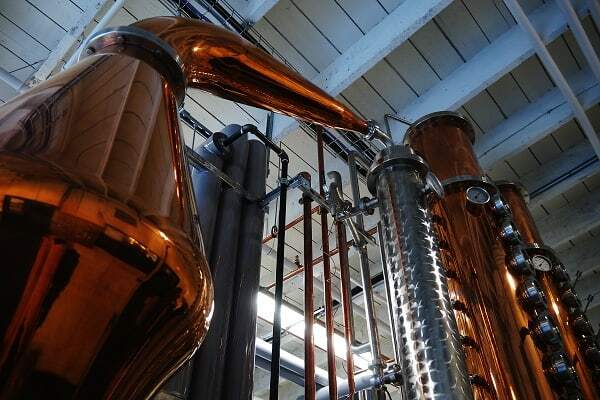 Our 140 and 220 liter copper pot stills were meticulously handcrafted and configured with both a swan neck and alambique charentaise style helmet with a direct steam heating system. 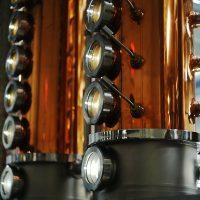 The column or ‘vodka still’ is configured with two sequential rectification columns to produce ultra premium quality spirits. 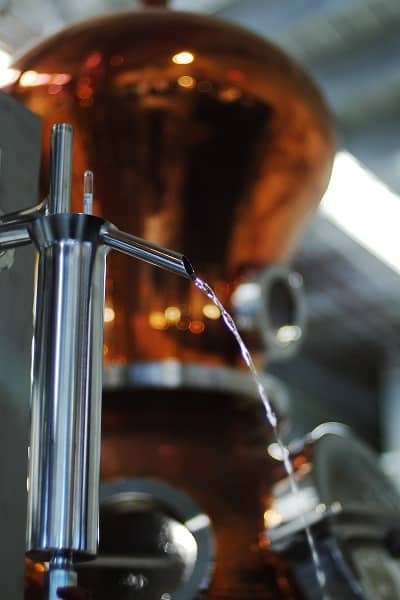 Our two stills allow for mash stripping, whiskey distillation, and the production of vodka, gin and other fine artisan spirits on site. 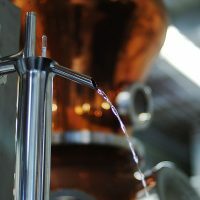 Batch distillation involves distilling small portions of the fermented materials at a time, and results in a better separation of the vapours that create the spirit. 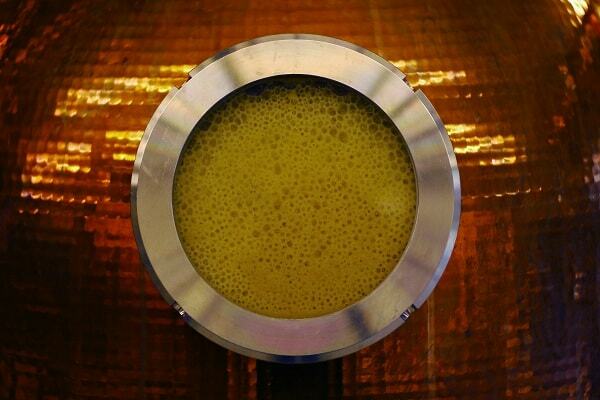 During distillation, spirits are comprised of three factions referred to as the Heads, Hearts and Tails. 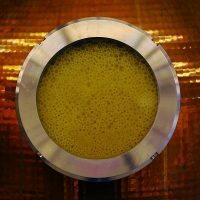 The ‘cut’ between each is fraction is carefully determined by our Distiller who collects only the purest fraction of the Hearts to become the final spirits. 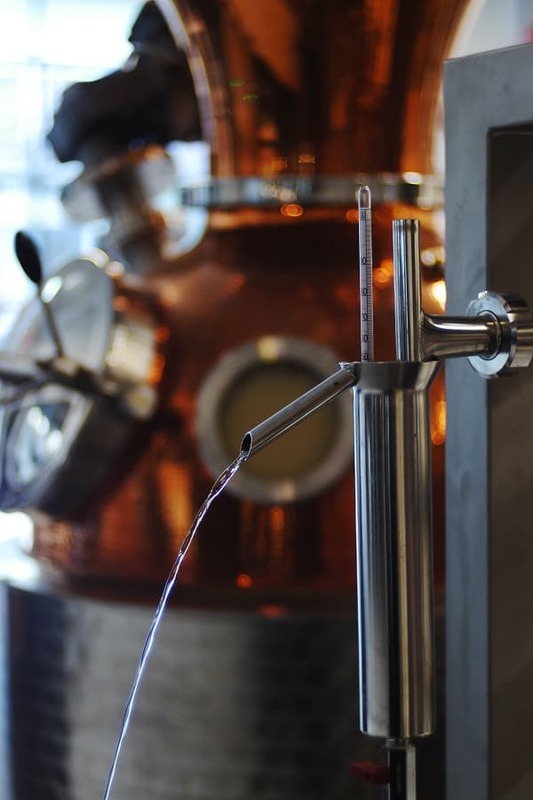 Batch distillation is a time consuming method, but results in the highest quality spirit. 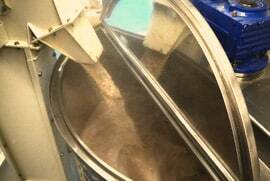 The selected grain is mixed inside a mash tun with hot water. Enzymes are added to assist with the conversion of starch into sugar. The outcome is referred to as the wort. The wort is then transferred into a stainless steel tank and cooled. Yeast is added or ‘pitched’ to transform the sugars into alcohol. The fermentation process is carefully monitored using a cooling system to ensure the yeast’s efficiency. Fermentation produces a wash at about 8-10% alc/vol. The wash is transferred to the copper stills. The stripping run is the first distillation. The main goal is to concentrate the alcohol of the wash from the initial 8 – 10% to 25-35% alc/vol. 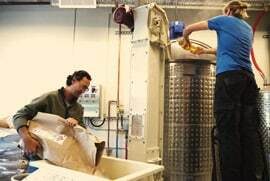 The output of the stripping run is commonly referred to as low wines. There is no separation between the Heads, Hearts and Tails. Both copper pot stills are used for this step at The Liberty Distillery. A pot still is used to make whiskey. 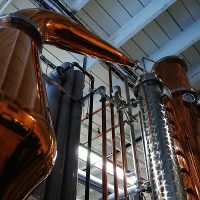 Double distillation of spirits produces a different whiskey than one triple distilled where the Distiller is better able to control, or remove less appealing congeners or ‘impurities’. 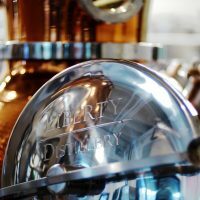 Liberty triple distills all of its whiskey to produce a more delicate, smoother, and cleaner spirit. In order to make vodka, or a spirit of nearly 96% alc/vol. 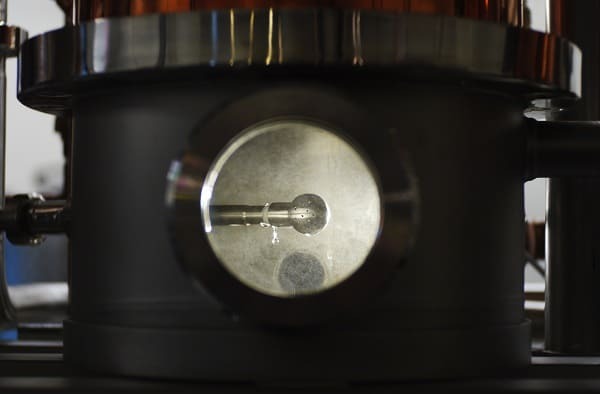 at the pipe, a rectification column (also called a fractioning column) is needed with a minimum of sixteen plates to achieve the highest level of purity necessary to qualify as vodka. 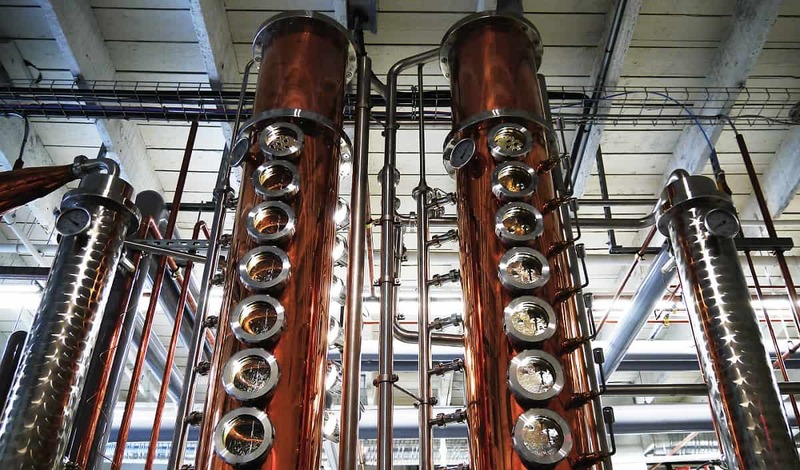 Our distillery has a two column system with a total of sixteen plates. 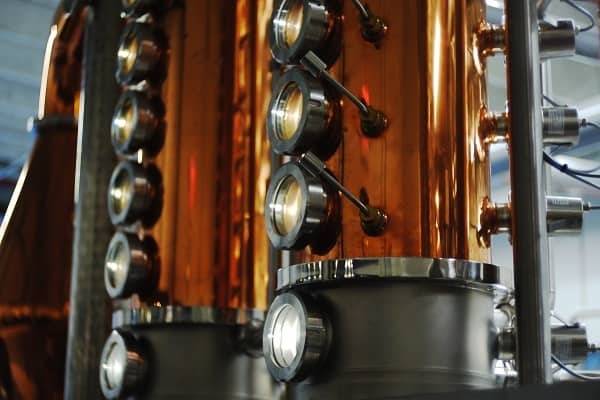 We are proud to say all our spirits are triple distilled at a minimum, to ensure our spirits meet the highest standards. 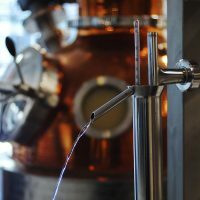 Spirit vapors created by the distillation (also called fine spirits) need to be reduced from their original high alcohol content in order to make them drinkable. Fresh pure BC coastal mountain water is chill filtered and carefully added to reduce the alcohol strength to its final legal content label of 42%, 45%, or 47% alc/vol for Truth Vodka, Endeavour Gin and Railspur No. 1 White whiskey respectively. Before our vodka can be bottled, any remaining impurities are removed by filtering through activated charcoal. 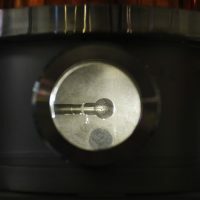 This process is a guarded secret and the timing and technique vary from product to product depending on the desired tasting profile to be achieved. 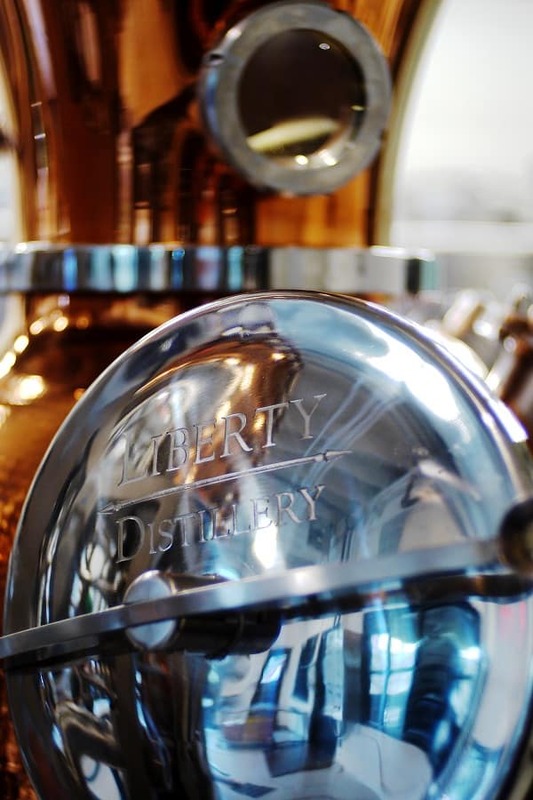 Throughout the distillation process at each stage, product quality is meticulously monitored by our Master Distiller to assure Liberty’s expected quality. 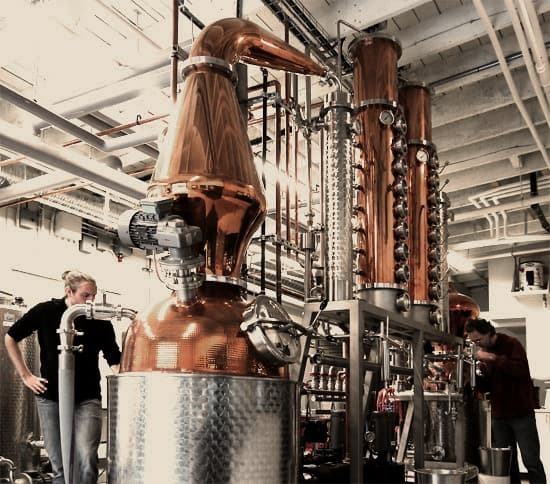 Is the distillation process still a mystery? 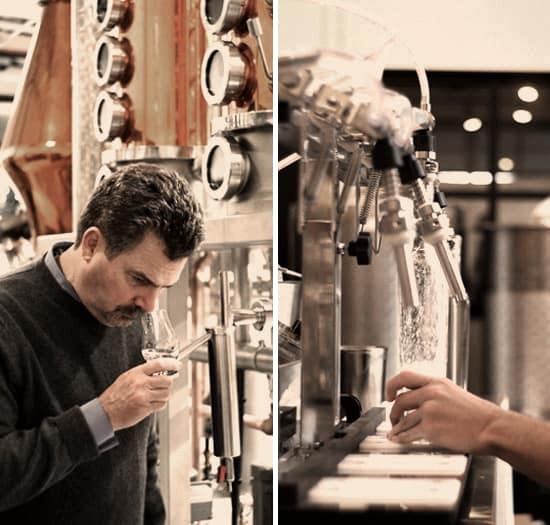 Don’t worry, drop by the distillery and join us for a tour that will explain the production of each spirit in more depth and sample the culmination of this extensive process!